My name is Marek Lenart and I come from eastern part of Slovakia, recently located in Kosice. I am an electrotechnical engineer with a lot of IT programming history and with passion to dig deep into any field that requires dedication and focus. Since when do you make handpans? The moment I decided to start this journey is dated somewhere in autumn 2013. After Couple of attempts to make steel tongue drums I knew that this is not right way to follow and I turned my focus to start building handpans. I believe it was in 2012 when I first saw Hang Massive tune called Once. What I know this tune happens to be first handpan tune for a lot of people that they saw and heart this instrument for first time. Till that moment it was normal day in work sitting in from of computer monitor. But after that I knew that it will be different from that moment. In which way it was not clear, but journey started. Or like other makers use to say, I started to fall into rabbit hole. 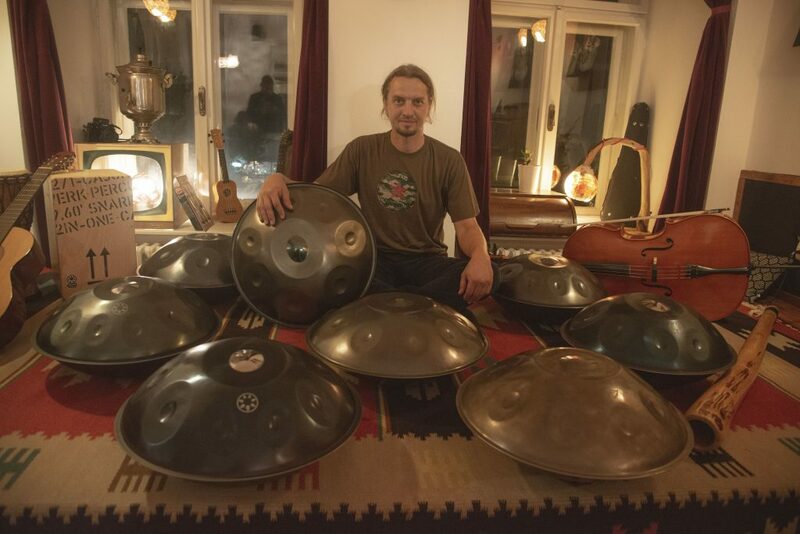 How can I buy your handpans? There are several ways how to contact me. Potential customers can contact me via Contact form on my web site www.mishte.net. This will basically start emailing communication to mail mishte.hp@gmail.com. As part of modern communication channels people can use FB page (https://www.facebook.com/mishte.instruments/) to send message to me or Instagram channel (https://www.instagram.com/mishte.instruments/). One of ways is commenting on youtube channel link to which can be found on web site. How are your handpans different from those of other manufacturers? Most of all I do all production steps. That means I look for material and purchase it so that it fits best to all my production steps. I make my own shells in couple combined procedures. I use 1.2mm of metal sheet thickness so instruments are enough stable and rigid. My own shells prepares me nice base to create handpans that sounds way I want. Also I perform several heating treatments that ensures stability of tuning. For example last heating process is sunbath. I let instruments on sun for couple of days and tune them afterwards when they detune. This way they are not detuning if someone let instrument on sun and let it cool down.